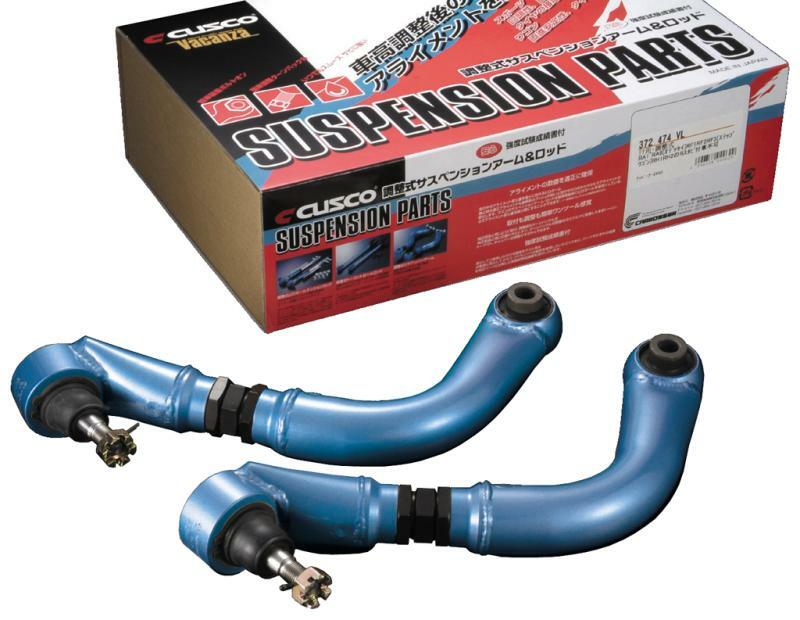 Cusco Rear Upper Arms provide proper camber angle and improves car movement. Prevents irregular tire wear and keeps the tire planted to the road surface. You’ll also have more precise wheel alignment with the addition of the Cusco adjustable rear toe control rods. The turn buckle will correct the improper camber that is caused by the change of vehicle height.